← Why are Cattle in the Desert? Let’s first start by asking what is food insecurity and how is it linked to chronic diseases? According to the Economic Research Service, food insecurity is categorized in two groups: low food security is reduced quality, variety, or desirability of diet with little or no indication of reduced food intake, and very low food security is multiple indications of disrupted eating patterns and reduced food intake. This study found that households that experienced frequent or chronic food insecurity had different economic and demographic characteristics than those that experienced more severe food insecure conditions of shorter duration. The study also found that greater food insecurity is associated with higher probability of chronic diseases such as hypertension, coronary heart disease, hepatitis, stroke, cancer, asthma, diabetes, arthritis, COPD, and kidney disease. ERS Food Security Status probability of any chronic condition among adults. Hunger and food insecurity are closely related but distinct concepts. Hunger refers to a personal, physical sensation of discomfort, while food insecurity refers to a lack of available financial resources for food at the level of the household. Food insecurity is not an isolated issue, as low-income families are affected by overlapping issues such as health problems, medical costs and social isolation. This cycle of food insecurity and the extending consequences make maintaining a healthy lifestyle extremely difficult. The cycle of food insecurity relating to chronic disease. Many people in the Land of Enchantment are affected by food insecurity. In New Mexico, 21 percent of the total population, and 30 percent of children live at or below the federal poverty level. New Mexico is a poor state, with some of the highest rates of food insecurity and many adults and children suffering from nutrition related illnesses. The strong link between food insecurity and obesity can be counter-intuitive, but studies show that cost constraints often force low-income individuals to decrease their intake of costly lean meats, dairy and fresh produce while increasing their intake of cheaper and more satiating foods containing processed grains and added sugar and fats. In addition to obesity, food-insecure individuals with poor nutrition are more likely to have chronic conditions. There is also strong evidence that eating more fruits and vegetable can offset these chronic diseases for low and very low food secure people particularly, and with the help of government and local programs that provide access. Some programs have even expanded their reach to facilitate a partnership with low income people and farmers via farmers’ markets. So how does New Mexico address accessibility for those who are low or very low food secure? There are several nutrition programs that are bridging the gap to offset food insecurity and prevent – or reverse – chronic illness among adults and children. One of these initiatives is The Fresh Fruit and Vegetable Program (FFVP), a federally assisted program through the New Mexico Public Education Department. It has been successful in introducing school children to a variety of produce that they otherwise might not have the opportunity to sample. The goal is to increase overall acceptance and consumption of fresh, unprocessed produce among children. The FFVP also encourages healthier school environments by promoting nutrition education. Roadrunner Food Bank, assisting New Mexicans for over 35 years. Roadrunner Food Bank is a part of a 200-member network of food banks and currently assists 70,000 hungry people in New Mexico every week. Roadrunner also provides an onsite Healthy Foods Center, a medical referral food pantry providing healthy options to those affected by the cycle of insecurity. In its 18-month pilot phase, more than 455 households were served. To support nutrition education Roadrunner provides a demonstration kitchen with cooking activities and easy recipes to share. Who is hungry in New Mexico? RRFB assists many families and seniors each week. Another Federally-assisted program, SNAP, is the largest domestic hunger safety net for low-income people. Through the EBT financial card system, participating farmers’ markets and grocery stores have incentivized card users to purchase local fruits and vegetables with the Double Up Food Bucks program. If you spend $30 from your EBT card SNAP benefits, you will receive a matching $30 for local fresh produce. As of 2018 this program is available at 80 outlets in New Mexico, making access easy and affordable. The goal is to have low-income consumers eat healthy, support local New Mexican farmers and help food dollars stay in the local economy. SNAP is the largest food assistance program to supplement working poor families and individuals. Double Up Bucks programs incentivize SNAP recipients to buy fruits and vegetables. ICAN through NMSU supports the community by offering nutrition education through cooking lessons and food management. New Mexico State University’s College of Agricultural, Consumer and Environmental Sciences created a program called ICAN that offers free cooking classes to adults and youth. The focus is on preparing quick and nutritious meals using healthy foods, while ultimately saving money at the grocery store. The program also promotes eating more whole grains and being physically active. 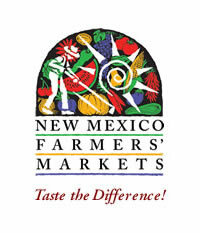 New Mexico is well on its way to fighting food insecurity. It will take increased access to statewide partners, and a shift in cultural attitudes to sustain these programs. At some point, someone we know – or even ourselves – may need help.